No design experience? No problem! Animiz makes it simple for everyone to create animated and interesting videos for free. 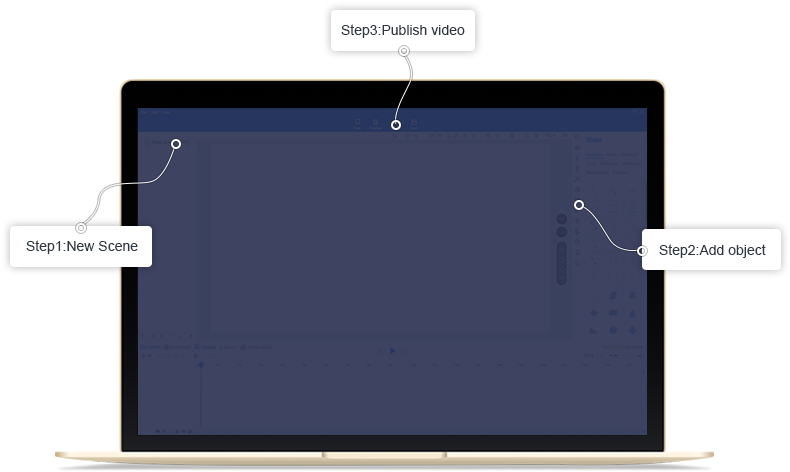 Drag and drop to add pre-designed characters and objects in blank scenes, customize objects' animations in timeline and finally publish awesome animated videos. 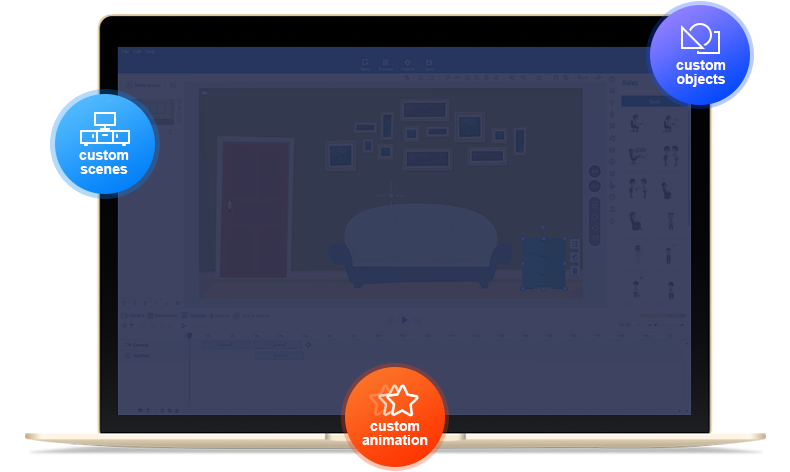 With Animiz, customizing your own stylish animated videos is quite simple. Everything is under your control from designing engaging scenes to publishing stunning animated videos. Just use this free animated video software to express all your creative ideas. Use the simple drag-and-drop interface to make editing a snap! 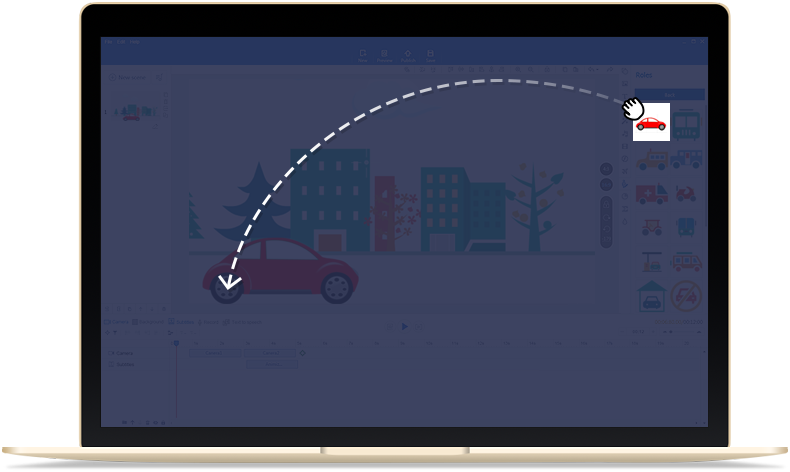 Every element in your videos can be dropped and dragged into canvas directly. Besides, you are able to edit every element's animation effect in timeline as well. What you see is what you get.